Our preschool theme this week is dogs and cats, and while I had heard of the Pete the Cat series, I had never read any of the books. I grabbed a couple from the library and listened to the songs online and now my girls and I are major Pete the Cat fans! The girls have been singing the little tunes all week and I love the messages of positivity and chill-out-ness of the stories. 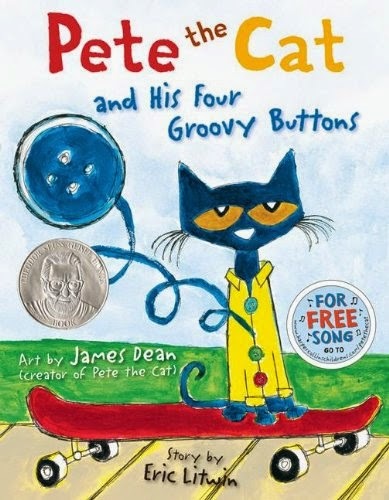 Pete the Cat and His Four Groovy Buttons is about Pete's favorite shirt, which keeps losing buttons. But Pete doesn't get upset because, "buttons come and buttons go." Even after all the buttons have popped off his shirt, Pete is still happy because he'll always have his belly button! 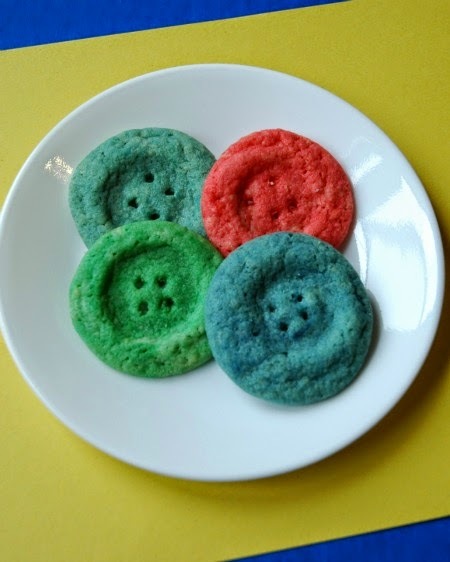 I decided to make little button cookies to go along with this story. 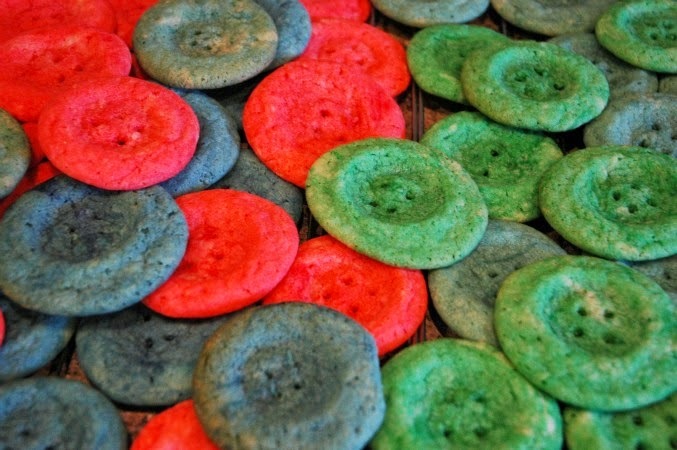 They were lots of fun to make, and I know your kids will enjoy them, too! They'd be a great snack to take in for a preschool or kindergarten class. Make a regular recipe of sugar cookie dough. We used a mix; feel free to make yours from scratch or buy your dough in a tube or a tub. 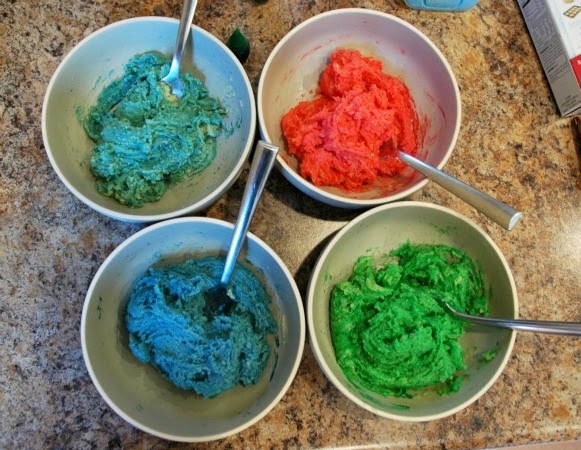 Divide your dough into 4 equal parts and dye each part a different color. We did red, green, blue, and light blue in order to match the book. Bake your cookies as usual, but pull them out of the oven when they have about 2 or 3 minutes of baking time remaining. 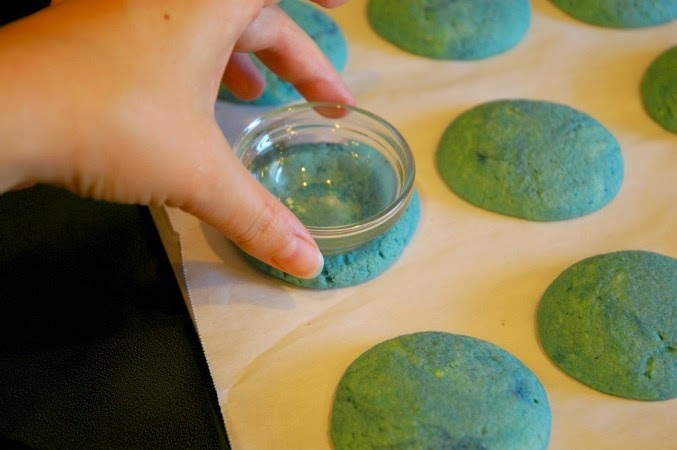 Press a small round bowl (or something else round) into the center of each cookie. 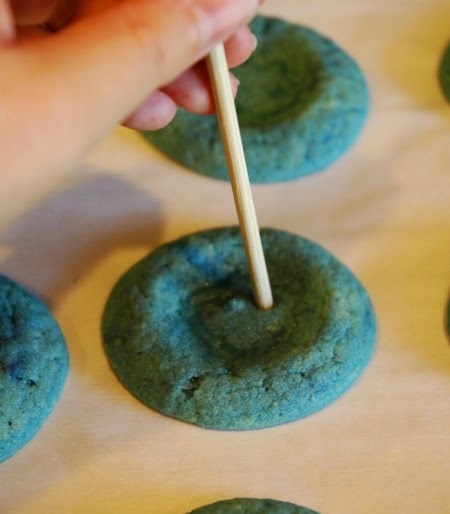 Use a skewer or toothpick to poke 4 little holes in each of your button cookies. Put the cookies back in the oven to finish cooking. Eat 'em up and sing the little tune! 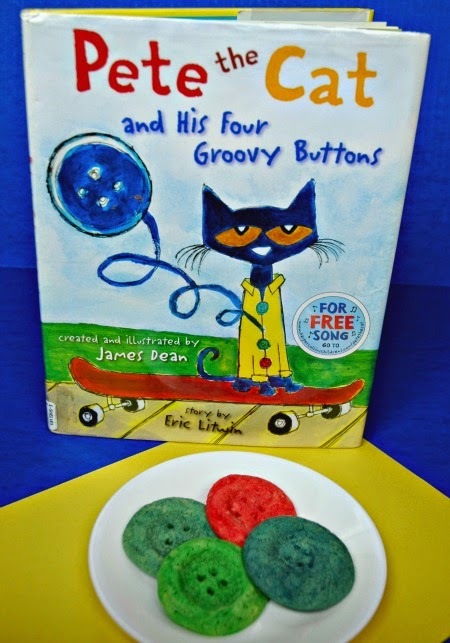 Button Cookies to go along with Pete the Cat and his Four Groovy Buttons. Great book extension activity, snack, and preschool activity!